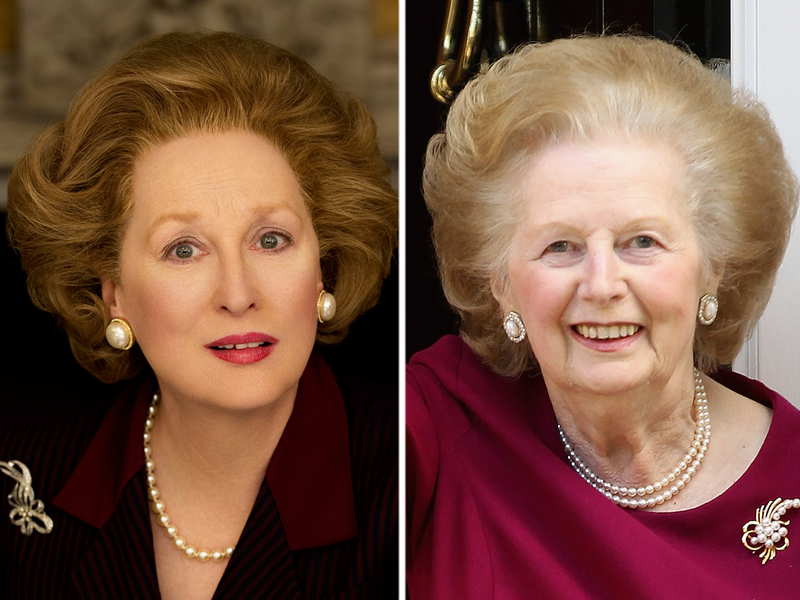 NEW YORK (CBS) The first official image of Meryl Streep as Margaret Thatcher from the upcoming biopic "The Iron Lady" has been released. The Oscar-winning actress is pictured in an appropriate suit and pearl earrings with her hair coiffed in the former British Prime Minister's signature bouffant style. Streep has been shooting the film, which is directed by Phyllida Lloyd who previously worked with Streep in "Mamma Mia," in London since Jan. 31. "The prospect of exploring the swathe cut through history by this remarkable woman is a daunting and exciting challenge. I am trying to approach the role with as much zeal, fervor and attention to detail as the real Lady Thatcher possesses - I can only hope my stamina will begin to approach her own!" she said in a statement posted on the movie's official blog. The film also stars English actor Jim Broadbent as Denis Thatcher.